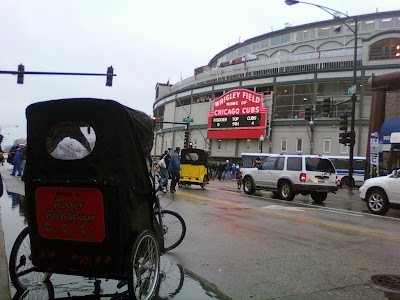 Chicago's Premier Pedicab Company Since 2001: Opening day for the CUBS 2009 season. Rain! We love the rain! Our fully enclosed cabs kept people dry going and coming from the game! Cubs win!